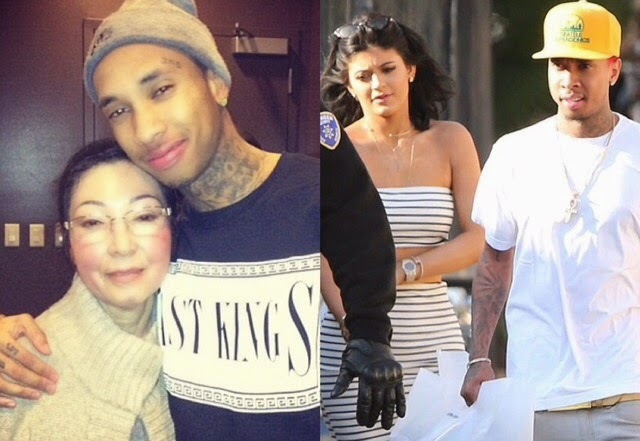 In an exclusive interview with Daily Mail Online, Tyga's grandmother Kim Nguyen shares her relief, that her rapper grandson is now dating 17-year-old Kylie Jenner, over his baby mother Blac Chyna. "We all love Kylie and think she is so much better for Tyga than Blac ... 'Yes she is King's mum, but Blac just wasn't a very nice person and Kylie comes from a much better family." "She is such a sweet, lovely girl and seems to adore Tyga. 'So we didn't mind him splitting up from Blac. It was a relief for us all.'" According to grandma-Tyga, Kylie is always over the 25-year-olds house and whenever she's around Kylie enjoys her cooking. "Tyga adores Kylie and has introduced us to her lots of times. She loves Vietnamese food, so we love to cook it for her whenever Tyga invites us to his home." After sharing how much she adores his new girlfriend, the 70-year-old talks her great grandson, King, suggesting Kylie spends more time around the toddler than Blac Chyna, despite her being who he lives with. "Blac used to live there, but now it is where Tyga lives with his son King and Kylie is round there all the time. 'I'm not sure when King sees his mum, but Tyga is a great dad and has never seemed happier, now he is with Kylie."